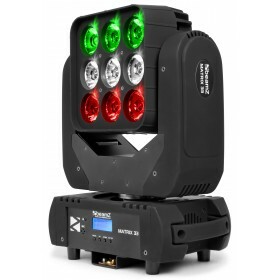 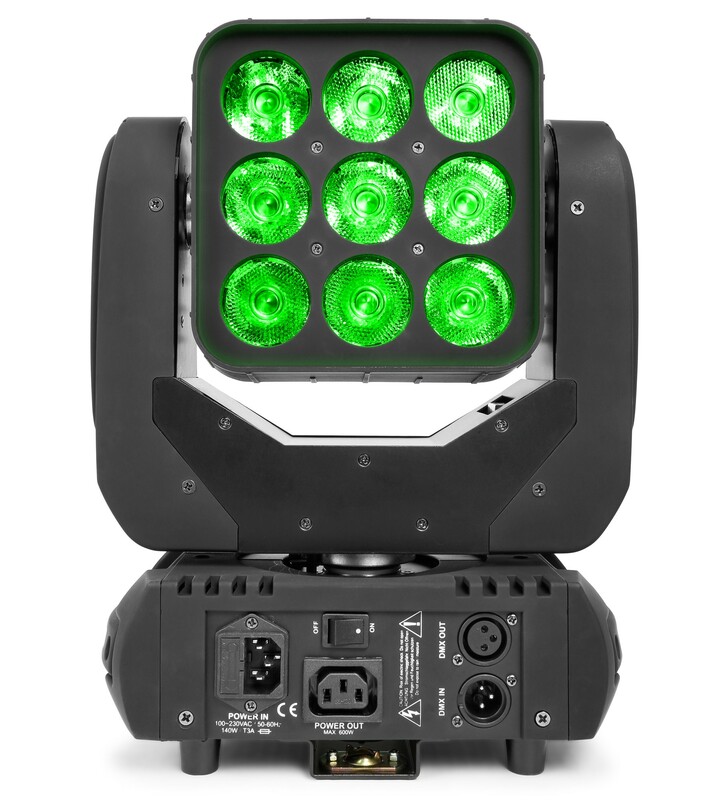 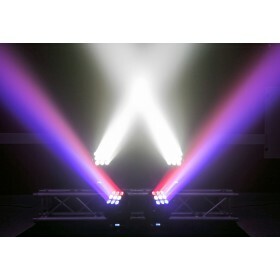 This Powerful 9x 15W Quad moving head creates impressive colour washer with rich, saturated tints, subtle pastel hues. 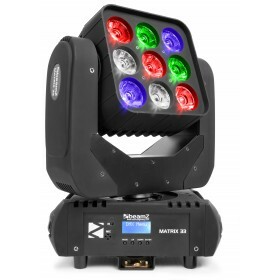 It features 630° Pan and 220° Tilt. 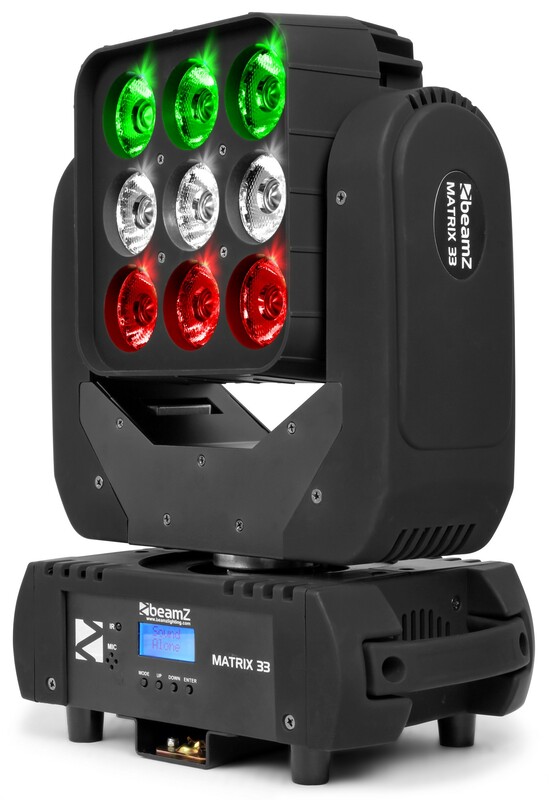 The Matrix33 is capable of DMX control in 4 different channels modes, master/slave, auto mode or stand-alone operation. 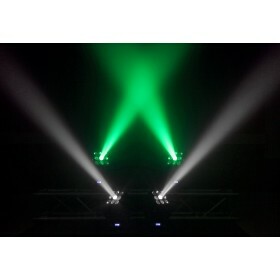 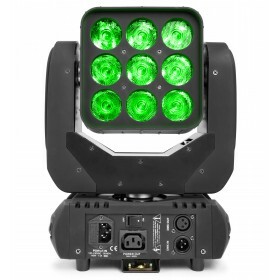 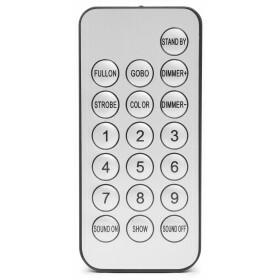 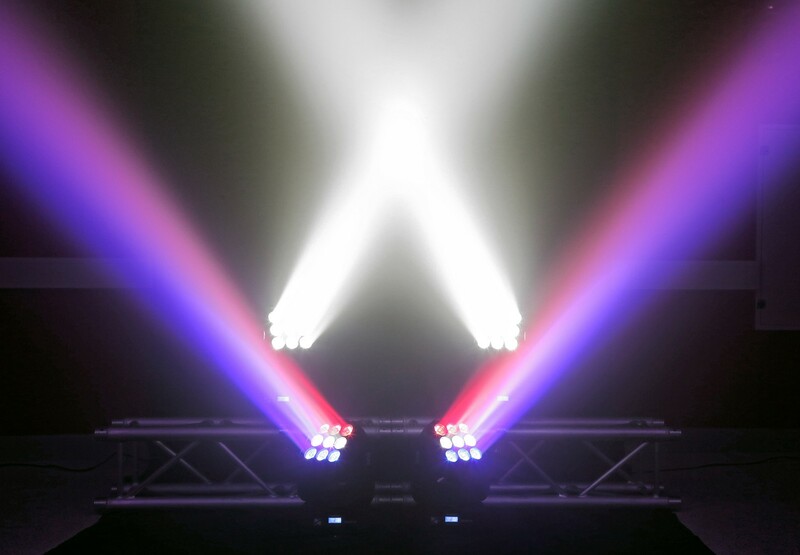 It includes 9 great shows preset, strobe and dimmer functions and a built-in microphone for sound activation. 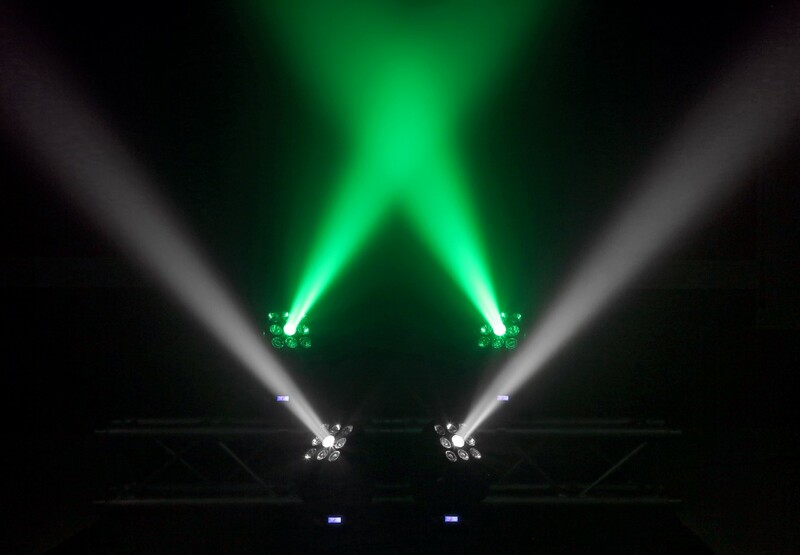 The single pixel control and switchable inversion mode which rotates the moving head in opposite directions generate amazing visual effects. 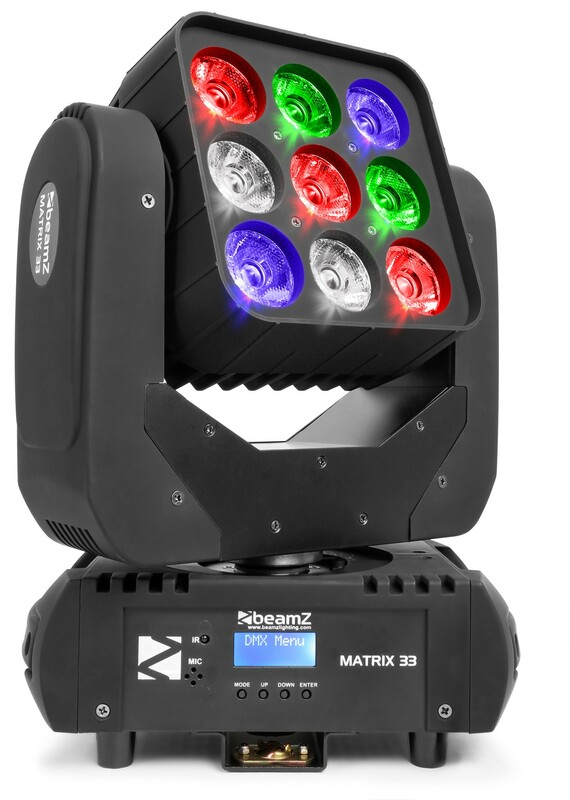 The Matrix33 comes with a infrared remote control.